The ambiance of your office can make or break the perception about your company among business associates. Along with from furniture, you need to ensure the availability of office supplies to ensure the smooth running of your day to day work. 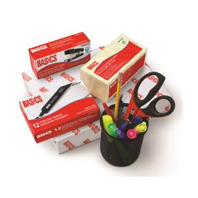 Office supplies are the supplementary items which help ensure a steady workflow in the work of different departments. 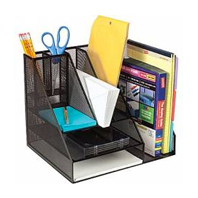 At Moglix, we offer an assortment of office supplies equipment online. Browsing through this category will help you in having a clear perception of the office supplies that you need. 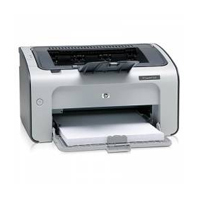 We deal in a variety of products ranging from office stationary to projectors and printers. The products which we are offering as a part of our collection have been sourced from leading brands in the Indian market such as Xerox, Brother, Panasonic, zebronics, Canon, 3M etc. What Are the Different Types of Office Supplies? Files and folders are essential for storing all important official documents. File covers, expandable file folders, cobra files, clip files, level arch files, document bags, conference files & folders, lamedge files and display files are some of the most commonly used files and folders. They play a vital role in the smooth functioning of a company and are sold as office stationary & supplies online. They will enable you to take notes, be innovative and perform your normal daily businesses. Desk organisers include a wide variety of office equipment such as pen holders, desk sign boards, pen holders, business card holders and file trays. Business card holders are suitable for storing cards of all business associates. Desk sign boards are widely used during business meetings. Pen holders & file trays are used for storing pens. 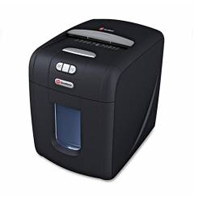 Office machines include shredders, paper trimmers, printers, spiral binding machines, fax machines and paper trimmers. A paper shredder is a mechanical device which is used for cutting paper into chads, usually into strips or fine particles. 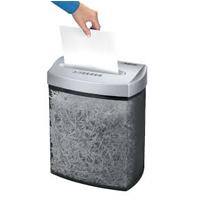 Government organisations, and businesses use shredders for destroying sensitive documents. Laminating machines are used for covering a document or other material and has a protective layer on both sides. 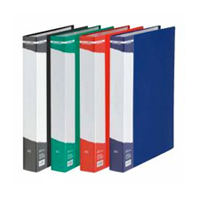 Spiral binding machines are equipped with a manual vertical punch which punches oval holes and enables coils to be inserted easily. 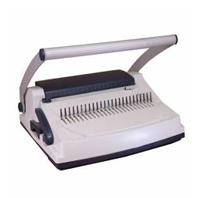 A paper trimmer or cutter is a tool which is normally used in offices and classrooms. 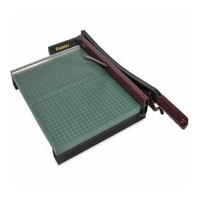 They are specifically designed for cutting a large set of paper once with a straight edge. A printer is used for generating hard copies of electronic data which is stored inside a computer. They are one of the most widely used peripherals on computer and are widely used for printing photos and texts. 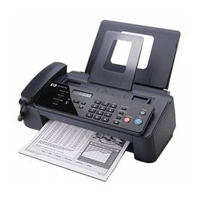 A fax machine is commonly used for sending and receiving documents which contain images and text. It is best suited for documents that require an individual's handwritten signature. The presence of papers and notebooks makes it significantly easier to prepare MOM (minutes of the meetings) based on which actions can be taken. 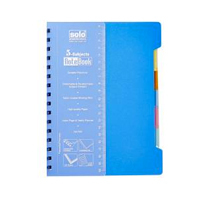 The different types of papers and notebooks that are used in offices include separators, notepads & writing pads, copier papers, carbon papers and laminator pouches. Professionals need to note down vital aspects of meetings which they need to implement at a later stage. The usual types of writings and corrections that are sold as office stationary include pens, pencils, highlighters, pencil leads, markers, clipboards, pen refills, pencil boxes etc. 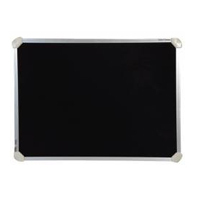 The online stationary which are sold as meetings and presentation supplies include easels and display boards. Easels are normally used by painters for supporting a painting while working on it, normally by standing up and are often used for displaying finished paintings. They are occasionally also used for displaying finished paintings. Display boards is rigid and sufficiently strong to stand on its own and generally use paper or other materials which are affixed to it. Display boards are also called poster boards. How to Select Office Supplies? The initial question all printer buyers need to tackle come down to a simple matter of what and how much you plan to print. Colour inkjet printers are the most widely used in the market simply because they can print almost anything from pie charts, essays or glossy photos. However, the texts printed by them are not always as sharp as that of a laser printer. They are usually slower and in some cases they cost more to keep it running. Laser printers on the other hand dominate offices as they can quick a large volumes of text quickly, reliably and are comparatively cheap. Moreover, they look sharper than text from an inkjet, laser printouts won’ run when they get weight. At present, colour lasers have become more affordable. But since costs of replacement are comparatively high often which makes them a bad option for domestic use. The ink cartridges are the most reusable component part of a printer. The plastic body’s cartridge can hold ink in two or more reservoirs and is fitted with electric contacts. The plastic body of the cartridge holds the ink in one or more separate reservoirs and is fitted with electric contacts and sometimes a chip which allows the cartridge to communicate with the printer. Depending on the size and style of the printer, there are different types of cartridges. Cartridges are basically designed for working with a specific series of printers. While you need to pay attention to size and brand of the cartridge for functioning properly, the type of ink cartridge needs to be correct when performing specific print jobs like photographs. Ink cartridges are of two types- thermal and piezoelectric. Pricing is a major factor which you will need to pay attention. A few companies offer cartridges at very low prices but offer very bad products. However, inkjets are often available at a low price. Also check the warranty offered by the company. Some last for one month, while others offer two weeks while inkjet offer 1 full year. Lamination machines are the devices which covers a document or other materials with a protective layer on both sides. Normally this layer is a plastic film and is heat bonded to the material and confers higher strength, durability and longevity to it. At Moglix, we are offering laminating machines from brands like GBC, Kavinstar etc. The laminators that are available in our collection have durable construction, in-built horizontal trimmers, high speed and operate using infrared heat technology. Keep the usage factor in mind when you start looking for laminating machines. The laminating machines which are used in offices are meant for official use while those that are used in schools are meant for moderate use. 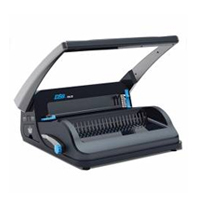 Small or medium sized laminating machines are best suited for documents with size of 8.5’’. Documents with size of 12’’ inches require small, medium & large sized machines. Though the new generations of printers are more versatile as compared to other models, printers are infamous for giving for causing more problems in contrast to any other computer peripheral. However, a little knowledge on how to clean printers can help you avoid paper jams and printing errors. Therefore, when you open a printer for maintenance, turn off its switch and keep your hands at a distance from hot fusers and moving parts within the printer. It will help in preventing unnecessary damage to the printer. Buildup of dust, toner and other debris within a printer might cause jams ad ink streaks that appear on papers. Utilise a quick fix to remove particles which have a small vacuum. It is ideal for dust removal. Your projectors need little maintenance to keep working. You will need to clean the air filter and air vents to protect the projector from overheating caused by blocked ventilation. The only parts that you will need to replace are air filter, lamp and remote control batteries. Before cleaning any part of the projector, turn it off and unplug the power cord. Don’t open the projector’s cover as has explained in this manual. Hazardous electrical voltages in the projector can cause severe injuries. Don’t repair the product on your own except as precisely mentioned in the manual. Roll laminators are one of the most common document finishing machines with a good reason. These devices make it possible for you to laminate different items from photographs and banners. One of the most effective ways of maintaining you roll laminator in shape is avoid for processing items covered in glitter. The same thing is applicable for metallic materials. These docs can do a high level of damage. If glitter gets on the rollers, it will be tough for the machine to transfer heat, which makes them inoperable. Ensure that you keep sharp objects like scissors, craft knives etc. away from your laminators. They can nick and scratch the silicone on rollers. If this happens, you can repair or replace it is bad enough. Unless the laminator shuts down automatically, make sure that it’s turned off when you are done with your work. It helps in protecting the motor and minimising the risks of fire & injury. Why Buy Office Supplies from Moglix? At Moglix, we deal in office supplies in bulk. From cartridges, projectors, stationary and laminating machines, we deal in virtually every type of office supplies. Therefore, you will be able to save a considerable amount of money while buying these items in bulk. 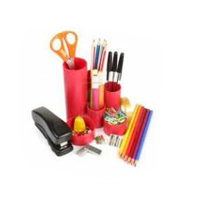 Come, avail the best deals on office supplies from Moglix.